New York’s top politicians, Gov. 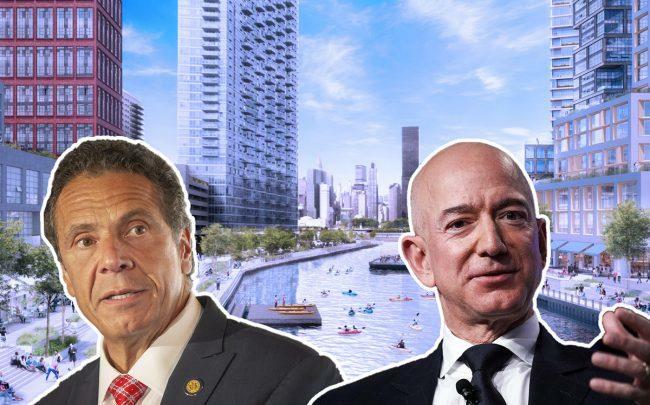 Andrew Cuomo and Mayor Bill de Blasio, have been accused of an “immoral waste of taxpayers’ money” and being out of touch with their constituents as the chorus of complaints grows louder over the incentive-laden package put together by the Democrats to lure Amazon to the Big Apple. The comments come as residents and politicians from within the Democratic Party voice their displeasure with what they perceive as too sweet a deal for Amazon to set up shop in Long Island City, a diverse Queens neighborhood they say has long been in need of improvements in affordable housing, education and infrastructure. Van Bramer added in a separate interview with Politico that both Cuomo and De Blasio — two of the most powerful Democrats in the state – “misread the moment” and how much of a backlash the deal for Amazon to bring one of its headquarters there would generate. “I think if the takeaway from the recent election in Queens, New York City and nationally is that we should actually step up corporate subsidies and billionaires getting billion-dollar bailouts — if that’s the takeaway, somebody’s not got their fingers on the pulse of Democrats, certainly, but people generally in this country,” he said. Van Bramer is not alone amongst his party. New York Congress member-elect and Democratic Socialist darling Alexandria Ocasio-Cortez railed against Amazon Tuesday for getting tax breaks, citing community “outrage,” while City Council Speaker Corey Johnson questioned why such a wealthy company needs more than $1 billion in public money for their expansion plans. Ron Kim, an assemblyman who represents another part of the Queens borough, has even gone as far as to file legislation hoping to block some of the subsidies being offered to Amazon from taking effect. “Giving Jeff Bezos hundreds of millions of dollars is an immoral waste of taxpayers’ money when it’s more than clear that the money would create more jobs and more economic growth when it is used to relieve student debt,” Kim said in a statement obtained by Fox News.